You may or may not know, but I'm currently in my third year of a Religious Studies degree at Canterbury Christ Church University. 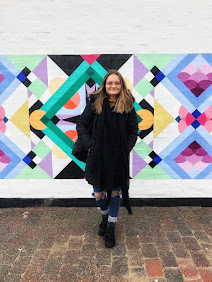 Recently, I was offered the opportunity to blog for the university during Student Volunteering Week about finding a volunteering placement which I'm very excited to be doing. I was also lucky enough to also be asked to be a Student Events Coordinator for an event happening during that week. So I thought I'd share a little bit about it, incase any of you are local to Canterbury and wanted to be involved, or if anyone could donate anything. The idea of the event is three pronged. There's an S (student), a V (volunteering) and a W (week). CCCU, UKC (University of Kent) and Canterbury College will be teaming up for this event. S = Soup - There will be two groups involved in this element of the event. One group will be based in Canterbury town centre, and they will be handing out soup to the members of the public for a small donation (Donations will be going to Catching Lives). Another group will be handing out soup to the homeless in Canterbury. V = Vocals - There will hopefully be a group of musicians from each of the participating institutions to play some music for the public! W = Woolies - We are hoping to collect lots of scarves, hats and gloves to hand out to the homeless when we are giving them soup. It is so cold here, and hopefully we can make a difference even if its just really small! If you are local to Canterbury, and have any old woolies you would like to donate (or even if you are't local and you are willing to send them!) please do email me; suitcaseandsandals@outlook.com. We are also looking for reliable volunteers in Canterbury, so if you are on the off chance a student at CCCU and wanting to get involved, please email me for more information. What have you been involved with recently at University?